Being a musical noob, an aspiring guitar player / mangler with a whopping three weeks of superb yet less-than-sufficient tutelage under my belt, it’s only natural for me to “need” a second guitar. 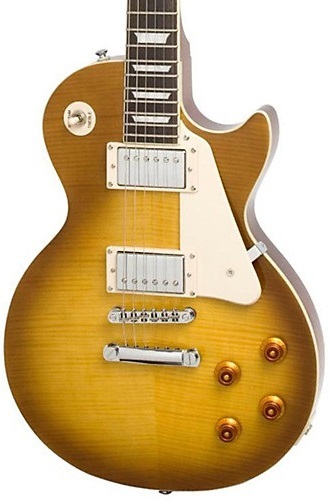 After all, my first guitar is merely superlative, a gorgeous Epiphone Les Paul Standard PlusTop Pro Electric Guitar with the Honey Burst styling. Surely, I need—dare I deserve!—something more.